If you are a lover of scheduled and regular tasks routines which is a morally good habit then you cannot live without a clock. 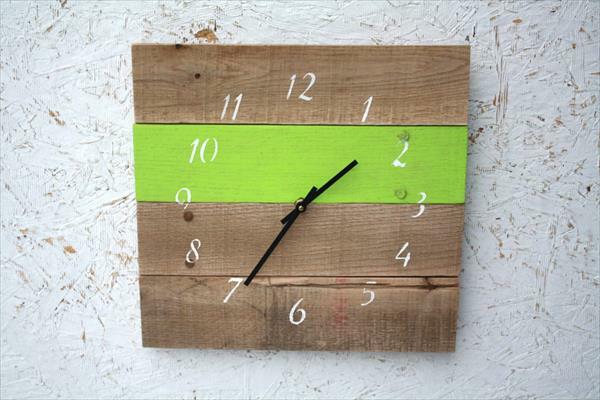 We have made an electrifying model of DIY pallet clock with Neon colors as a dominant displaying symbol. The numbers are handcrafted and the clock hands from the quarts, a popular clock system. The overlay color can be changed to anyone to increase the accent of the whole wall. 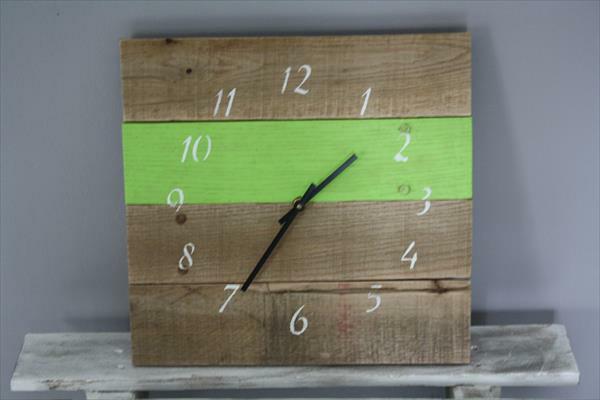 Many personal preferences can be a part of the construction to get what you want in your own personal and customized style out of pallet wood. 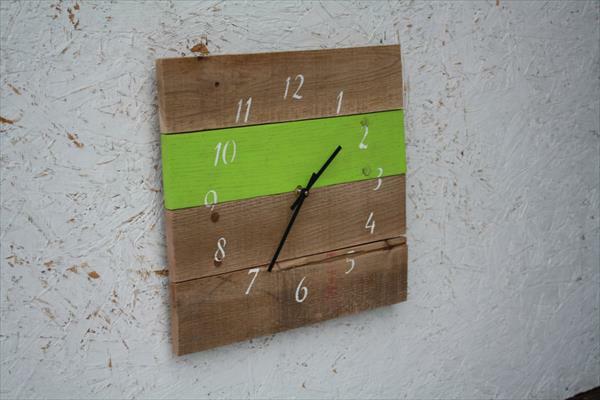 If you are O.K with the rustic appearance and the wooden creativity involved them clone this item at home and for home.